Cognitive Computing reflects an inflection point in the information technology industry comparable in impact to the entrance of the mainframe computer in the early 1960s, the personal computer in 1981, and the commercialization of the Internet in 1995, which gave rise to the World Wide Web. Today’s modern computers are architected and programmed to perform clearly defined tasks. Tomorrow’s cognitive systems, using natural language processing and machine learning technologies, will learn and reason, communicate naturally with humans through voice commands and gestures, and generate their own novel insights. Cognitive systems will learn and master complexities on their own and interact to provide expert assistance to scientists, engineers, lawyers, and other professionals in a fraction of the time it now takes. This lecture will discuss how the confluence of mobile, social, cloud, Big Data, and analytics is ushering in a new era of cognitive computing and how Watson, the first cognitive system, debuted in a televised Jeopardy! challenge, is currently being trained in oncology diagnosis for healthcare professionals and in customer service as a support representative. JANE L. SNOWDON is Chief Innovation Officer, IBM Federal and Director, IBM Federal Cloud Innovation Center, providing thought leadership on innovative and transformative solutions for government. She also co-chairs the Cyber Security Education and Workforce Development Working Group with Homeland Security and is a member of the INSA Council on Technology and Innovation. Previously, as Sr. Manager for IBM Strategy and Worldwide Technical Operations, she jointly led the research strategy for IBM’s twelve worldwide research centers to formulate IBM’s 2013 Global Technology Outlook. As Sr. Manager for Industry Solutions Research, she was a pioneer of IBM’s Smarter City initiative for energy efficient buildings research globally. She forged an IBM partnership with Columbia University, CUNY, and NYU to address New York City’s energy challenges. She was a principal in an energy analysis of 1,200 K-12 school buildings and a 60 building university campus totaling over 150 million square feet. She also served as Manager of the Emerging Systems Design Department at IBM Research and led groups developing online handwriting recognition software and next-generation high performance computers. Other research at IBM included notable work on schedule planning optimization, journey management, crew pairing, and airline recovery from irregular operations. Jane is a member of the Connecticut Academy of Science and Engineering and the Academy of Distinguished Engineering Alumni of Georgia Tech. She chairs the Advisory Board of the Dept. of Industrial and Systems Engineering and serves on College of Engineering Advisory Board at Georgia Tech. She also serves on the Advisory Board of CUNY Institute of Software Design and has served the community on many advisory boards in the past, as well. Jane has received numerous awards and honors and recently was honored by Girls Inc. of Westchester, NY as a role model for the next generation of women leaders. Jane earned a BS in Industrial and Management Systems Engineering from Penn State, an MS in Industrial and Operations Engineering from the University of Michigan, and a Ph.D. in Industrial and Systems Engineering from the Georgia Institute of Technology. She is an author on more than sixty articles in mathematics, computer science, and engineering. President Larry Millstein called the 2328th meeting to order at 20:18 on February 6, 2014, in the Powell Auditorium of the Cosmos Club. Mr. Millstein announced the order of business and reviewed some information on the 2nd meeting of the Society, which had included a report about the Yellowstone Expedition of 1870. Mr. Millstein then introduced the new members of the society. The Audit Committee report was read and approved and minutes from the previous meeting were read and approved. The president then introduced the speaker, Dr. Jane Snowdon, Director and Chief Innovation Officer at IBM Federal. Ms. Snowdon started by introducing some of the current trends around big data: Ninety percent of the available data online was data created in the last decade, and 80% of it is unorganized and not in formats computers can "understand." The first megatrend around big data is the Cloud, which makes huge amounts of computing power accessible to a wider userbase than ever. The second megatrend is the expansion of mobile technology, which dramatically increases access to data. The third trend is larger social networks, which leads to much more data being generated; the last trend is recent developments in analytics, which has the potential to give us much more insight into patterns inside the data. These megatrends are are changing the nature and meaning of "data." We now have to deal with a wide variety of data, such as text, voice, video and numerical; and we have new problems with the veracity of data, since there's always uncertainty, ambiguity, and missing elements. Cognitive computing aims at getting insights from all this massive volume of data: To extend human cognition by the use of computers, after complex training and human interaction. The targets are computers learning and reasoning instead of being programmed, interacting more naturally with humans, and discovering new data and making decisions with deep domain knowledge. Ms. Snowdon stated that this is the infancy of a new era: If 1900 was the era of tabulating systems and 1950s was the beginning of the era of programmable systems, in 2011 we have stepped into the cognitive systems era. This development has the potential to be a massive game-changer, just as mainframes, PCs and the first commercial Internet were. Examples of potential technologies this can enable are automated legal case reviewing, widely available world-class tutoring, and the equivalent of a full-time staff of medical specialists for every patient. Ms. Snowdon gave an outline of the history of cognitive systems, which emerged from AI and cognitive science research, impacted by research on automatically organizing data and extracting knowledge, effective naturalistic communication, natural language processing and deep learning methods. Some technical approaches to cognitive system problems are bioinspired chips, neuroscientific studies on brain function, and investigating human cognition on how we learn, reason and discover. Ms. Snowdon then introduced Watson, IBM's cognitive computing system. 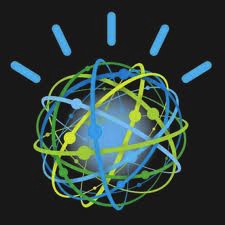 Watson is a breakthrough: It adapts and learns in operation, understands natural language, and instead of working only with keyword searches, it leverages semantic knowledge as well and can generate and evaluate hypotheses to home in on the correct answer. Ms. Snowdon provided an overview of how Watson's Deep QA Architecture operates. Given a question, Watson first extracts question features and generates multiple interpretations for the question. Having detected candidate answers to each hypothetical question, Watson seeks supporting evidence and uses different deep analysis algorithms to assign a confidence score to each answer to each hypothetical question. The scores obtained from each learning/analysis algorithm are then weighed with results from a pre-training period to obtain a confidence level for each candidate answer. Watson then picks the most highly-ranked answer or answers depending on the application. Over the course of its development history, Watson has increased in its size, speed, corpus of knowledge, flexibility, and number of users it can support. Its answers are currently in the "winners cloud" range of Jeopardy players. It is now able to take in inputs more detailed than a single question, such as the 20-page medical history of a cancer patient. IBM's next goal is to train Watson to the level of ability required to pass the US Medical Licensing Exam. In 2013, IBM announced initial healthcare and customer-service related products using the Watson framework, as well as the Watson Ecosystem, which will be open to third-party developers. Ms. Snowdon stated that the reason to focus on medical applications is the extreme speed with which the amount of medical information is growing. It is becoming impossible for doctors to keep up with all the required information. Watson's assistance can improve diagnostic accuracy and speed up the dissemination of new therapies. Similarly, in the customer service area, it is possible to reduce inefficiency and unresolved problems by Watson's help. Other applications that is in development are Watson Analytics and Watson Explorer, able to assist users to learn more effectively from their data, visualize data, discover patterns, find content regardless of format and use unstructured content as well. Ms. Snowdon then demonstrated Watson in operation by showing videos on Watson in an oncology application and in a customer service application. The demonstrations showed Watson presenting alternative diagnostics, solutions and treatment options which evolve over time as new information such as test data, preferences, or more answers from the doctor/patient interaction were given to the system. Ms. Snowdon introduced the new Watson Headquarters opening in Manhattan, including an incubator for developers looking to develop within the Watson ecosystem. The cognitive experience based on Watson is even now being made available through its developer cloud, a content store and talent hub. Ms. Snowdon concluded by pointing out a few more possible areas of application such as patent data mining and drug interaction discovery, and indicating that IBM is currently stepping up its investment in the cognitive products and services area, supporting new Watson offerings and the new, dedicated business unit in New York City. The president then invited questions. One question was on the process of rolling out Watson to other researchers. Ms. Snowdon stated that IBM is currently soliciting application proposals and accepting data from investigators in different areas to evaluate with Watson. Another question was on the ultimate cost of user access. Ms. Snowdon replied that this depends on the problem and domain scope, as Watson must be trained individually in to the required level of accuracy any given domain of knowledge. Direct consumer access is not the current focus, as IBM is working with institutions at this stage. Afterwards Mr. Millstein thanked the speaker, made the usual housekeeping announcements, and invited guests to apply for membership. At 9:47 pm, President Larry Millstein adjourned the 2,328th meeting to the social hour.